Disturbia, am I scaring you tonight?" That's a line from Rhianna's song "Disturbia" that she released in 2008. Ironically, one the song's co-writers was Chris Brown, her boyfriend at the time. The relationship between Rhianna and Chris Brown drew a slew of media attention back in 2009 when, on the eve of the Grammy's, Brown assaulted her in his car. You can read the details here. It was brutal. The report indicates, "he [Brown] took his right hand and shoved her head against the passenger window of the vehicle, causing an approximate one-inch circular contusion." That's just the beginning. Brown plead guilty to felony assault and was sentenced to five years probation and 180 hours of community service. It doesn't seem to have slowed him down at all. 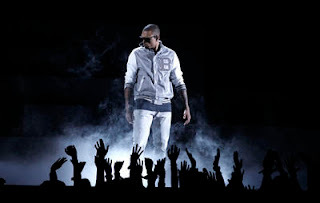 He has continued to make and sell music, and even though he wasn't at the 2010 or 2011 award ceremonies, he was given a prominent place in the Grammy's this past weekend. 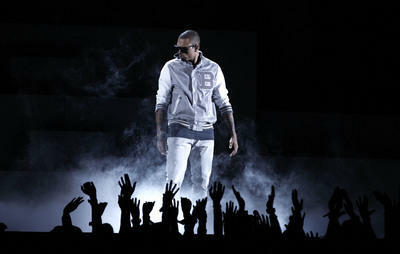 In the eyes of many, especially his own, Chris Brown is "cool." However, given the definition offered by author/activist bell hooks (intentionally not capitalized), he's the antithesis of it. She writes, "Once upon a time black male 'cool' was defined by the ways in which black men confronted the hardships of life without allowing their spirits to be ravaged. ... It was defined by black male willingness to confront reality, to face the truth, and bear it not by adopting a false pose of cool while feeding on fantasy..." (We Real Cool: Black Men and Masculinity, 138). Fantasy is what Brown is feeding on. To the critics who said he shouldn't have been featured on the Grammy's, he tweeted, "HATE ALL U WANT BECUZ I GOT A GRAMMY. Now! That's the ultimate [EXPLETIVE] OFF!" Of course, thanks to his fast-acting PR people, that twitter post was removed shortly thereafter. Really classy...not exactly. And not very "cool" either. I am not particularly interested in criticizing the organizers of the Grammy spectacle for inviting (and even showcasing) Chris Brown (a good criticism can be found here). They are in the business of entertainment, and entertainment is what they got. Their goals were realized. My attention is focused in another direction, particularly the females who took to the social networking sites to announce their willingness to be "punched," "beaten," etc. by Brown (see http://www.buzzfeed.com/mjs538/horrible-reactions-to-chris-brown-at-the-grammys). Seriously, click the link and see for yourself. You won't believe it. Come back when you're done. Frankly, that's disgusting and those girls have no idea what they're talking about. And if they meant it as some sort of sexual joke, then it is demented, off-color, and stupid. I can't come up with any sort of scenario where it carries any humor (or sense) at all. I witnessed domestic violence in my home as a child. It's not a joke. The images still linger in my memory: the argument, the punch, the screaming, the sheriff. They don't go away. They're seared in there forever. Apparently, according to reports, Chris Brown witnessed his mom being physically abused by his step-father. The cycle of violence has spun around again. I really hope he seeks, and finds, help. I feel sorry for the girls who wrote what they wrote. They have no idea what they're talking about. Domestic violence is a serious issue and they have made light of it. They have insinuated their willingness to be abused so long as the man is good looking and wealthy. That is wrong on every level. As a father of a daughter, it makes me nauseous to even think about. Reagan, you are a beautiful girl formed in the image of God. You have been purchased by the life, death, and resurrection of Jesus, the Son of God. You matter. You have dignity, value, and worth. You have been called be a light in the world. You have been equipped to make a difference. Seek first the kingdom of God and everything you need will be added to you. You, and every other female, deserve respect, love, and compassion from men. If you are being physically abused, call the police and do not go back - ever. Trevor - once again your thoughts are fluid and have so much material behind them. Jess and I are very moved by this post. I too agree that this Chris Brown debacle is infuriating. To see young women present themselves in such a way to invite that kind of behavior astounds me. Your last paragraph...the point to Reagan is profound and direct. Having Hannah, in a culture like ours, I want to instill in her a life filled with God's love and value. What's the Difference Between Love & Charity in the New Testament? Are You a Youth Pastor?